Hey friends it is time to link up with the fabulous girls for What I’m Reading. I’m now reading another book by the same author (Jennifer Close). This one is taking me a while because my ADD is kicking in! The Smart One. I haven’t read enough to really give a good synopsis but I can tell you so far it is a bit slow. Eeeek. Lately I have been finding that the books I pick are slow to start. Anyone else? I just subscried to this one. One thing I have been reading a lot of are magazines! My subscriptions are about to run out (bummer!) When I read magazines I always have a Sharpie in my hand. Why? Because I circle stuff and write notes on the pages. Yeah, I am a dork. If there’s a pretty nail color? I circle it. If I like an outfit I put a heart beside it. If I find a recipe? Circle and note it. My favorite magazines are Better Homes & Gardens and Redbook. Hey I found a new blogger at the end of June – her name is Kaiti and she is in Wisconsin. She has three gorgeous kiddos and has just started blogging and prepping her life to be a homeschool mama. Oh and she has a HUGE love for…..manatees. Yes, she lives in Wisconsin – hop over and say hello and tell her Amanda at CCK sent you! Go read Making Milford! Totally need to check out your new blogging friend. Its also fun to see what others are reading since I have actually been reading lately. Xoxo spread the love! I hope you had a fun 4th!!! I dog ear my magazines and then go online, find whatever it is that I liked- recipe, mascara, shirt, etc. and then save it into it’s category on Pinterest. If it is something like an idea of orange and blue mani/pedi then I snap a picture of it on my phone so I can recycle the magazine or send it on its way to someone else. I need to pick up some fiction for my roadtrip- I love my history, but I’m a little over facts now! I think summer and magaines go together like rice and beans! Yes get your Sharpie out, love! Magazines are my favorite things to read during the summer. 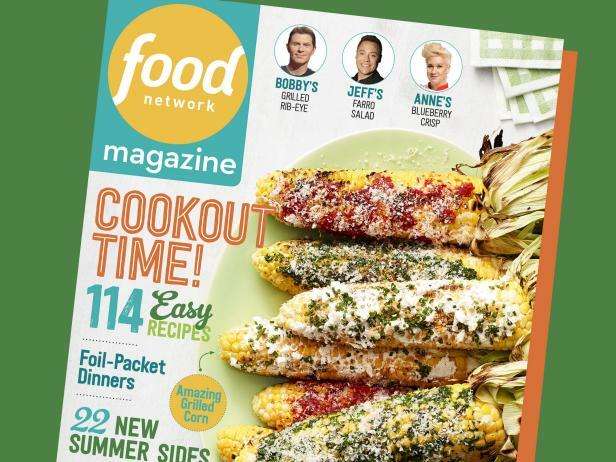 Food Network magazine is one of my favorites! I love magazines and Better Homes and Gardens is always a favorite. I also love Family Circle and Women’s Health. Magazines are always a favorite…p.s. mine always end up coming due at the same time too!